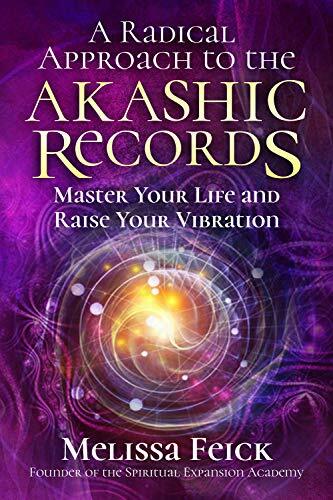 This book offers a “radical new approach” to the Akashic Records. That would suggest there is an “old, tired approach” to leveraging what is both a steady artifact of ancient wisdom and what has become a staple of modern New Age thought. Certainly, what we call the Akashic Records today can be found described in the texts of the world’s oldest systems of thought, philosophy and religions. That includes Vedic texts, the Torah and Kabbalistic writing, such as the Zohar, Greek oracular divination, Sufi wisdom, even the Bible — and much more. To take just one specific example, the sages in the Indian regions of the Himalayas proclaimed that the soul of every person — their “jiva” or “atma” — was recorded in a divine “book” that would remain for eternity as a permanent record of every second of every person’s life. Fast forward to the 20th Century and we find guys like Edgar Cayce telling of his ability to travel to that certain etheric or astral realm where he could find a specific “book,” not only for the life of a specific person, but information on absolutely any event that ever happened in history — or all of time. But wait — there’s more. The case for the Akashic Records has gotten even better in recent years. A growing cadre of outlier physicists and cosmologists are floating the theory that we live in a simulated universe, a virtual reality — a kind of cosmic computer. That would mean that each of us are akin to an avatar playing in the greatest computer game environment of all time. That would also suggest that when we die, our avatar could be “saved.” Everything we ever did, thought, hoped and dreamed would be kept like a computer file — and in this way we would never die. Furthermore, the “program” that is/was our life can be “called up” or “resurrected” at any time. 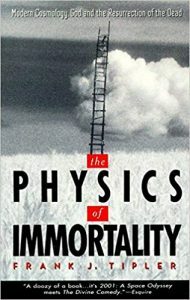 This is the way physicist Frank Tipler or Tulane University described it in his 1994 book, The Physics of Immortality. He makes a strenuous argument (along with a lot of mind-numbing math) that if our universe is not already a cosmic computer, of sorts, it is evolving toward becoming one — something he compares to Pierre Teilhard de Chardin’s concept of the OMEGA POINT. 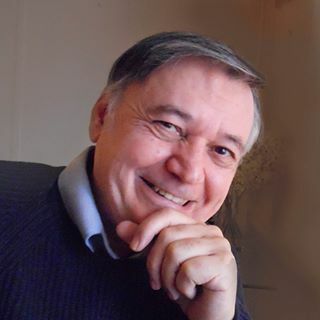 In Frank Tipler’s scenario, being “saved” like a computer file is almost an exact analog for being “saved” for immortality in the traditional religious sense. Perhaps all of those blinking “Jesus Saves” neon signs hanging over those gritty inner-city missions have something going for them after all! About a decade after Tipler’s book came out, noted Oxford University philosopher Nick Bostrom made waves with his proposal that we live in a simulation in 2003. Since then, the idea has continued to gain remarkable momentum, even among popular mainstream scientists, such as astrophysicist Neil deGrasse Tyson. He puts the odd that we live in a virtual reality at 50-50. So all of this is a long-winded way for me to say that no reader should dismiss MELISSA FEICKs book as just another selection in the popsugar New Age candy store. She’s on solid ground here working in a system that combineS an ancient pedigree with growing support from modern hard science. But what is her “radical” new approach? I won’t give too much away except to say that Feick models the Akashic Records — or perhaps re-envisions them — away from the standard “cosmic library” motif that has long characterized it. Up until recent times, using a “library metaphor” to describe the Akashic Records has made sense because a library has been the closest physical analog we have to a cosmic storehouse of knowledge. But we’re in the digital-computer age now and print books, and even libraries, are fast becoming passe. Furthermore, classical physics has given way to quantum physics. Every culture tends to frame transcendent ideas using terms and imagery that reflect what we have now, and what we can understand in terms of framing comparison models today. So Feick describes for us an Akashic Records that looks more like a combination of cosmic helical DNA model and multidimensional levels that fit togethers in a dynamic, ascending spiral configuration that is fluid and omni-directional and interactional. 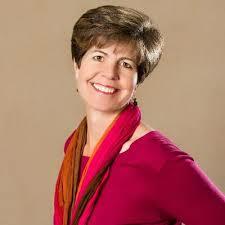 She suggests that, through a process of meditation and focus of intent, anyone can reach the Akashic Records, find their own “strands” and manipulate them to make corrections that will re-wire or reprogram our entire lives and existence, past, present and future. Worried about the burden of “bad karma?” No problem, says Melissa Feick. Now karma is erased, rewritten or rendered mute by some simple adjustments in the patterns that represent our own “file” in the Akashic Records. I’m not being glib when I say “simple adjustments.” I’m only echoing the way Feick describes the process. Not only can anyone learn to access their own Akashic file, she says, it’s super easy. Feick herself is a working intuitive counselor and spiritual guide who uses her gifts and developed abilities to serve clients who want to know more about what’s in their own Akashic files. 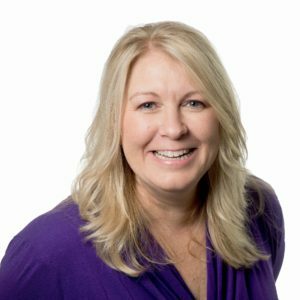 She holds a degree in psychology and also lists a variety of skill on HER WEBSITE, from Reiki Master to Angel Therapy Practitioner. This book is well written with a relaxed, easy prose that is easily accessible and engaging for the average reader. She never lectures or talks down to us. She offers lofty ideas without being preachy. The tone is friendly, positive, chatty and informational. 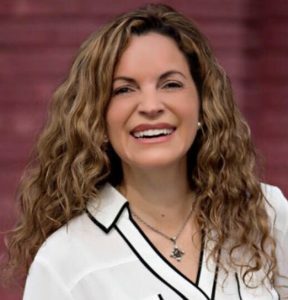 Melissa Feick seems a happy warrior eager to share her gifts and life experiences which clearly have been focused on helping other people in big ways and small in the daily game of life. This entry was posted in Uncategorized and tagged Akashic Records, book reviews, intuition, karma, Mellisa Feick, New Age books, physics, Reiki Master, self help, spiritual counselor on October 31, 2018 by admin. This is a book about love and agony — love and agony, love and agony – love discovered, and love lost – love rediscovered, only to slip away once again – until finally an ultimate answer is found hiding in plain sight amid the thorny, tangled thickets of this elusive game we call life. It’s the story of a unique life, but at the same time, not so terribly unlike billions of other people. That’s a central paradox that rings throughout this narrative – everyone is “special” – but if everyone is “special” then no one is “special” — because if everyone is “special” then that would be the norm! Colombian-born INGRID HONKALA grapples with these vexing philosophical concepts as she relates to us the story of her life which was shattered when, at the age of three, she fell into a giant tank of water and drowned. Needless to say, she was rescued from the frigid water and resuscitated, but about a year later, she began to sense the presence of intelligent entities which she describes as “star-like figures of pure shining light.” They were of many different colors. They seemed interested in her and cared about her. She soon understood these light-form entities were concerned about her life. They were willing to speak with her and offer her guidance. Thus, at age 4, began the journey of Ingrid Honkala, an odyssey of being guided by spiritual Beings of Light who were clearly there to help – but as she would also learn — to never interfere. She still had to make all her own decisions, make her own mistakes and be responsible for whatever good or ill she created. She still was required to struggle through adversity – often with great pain — when the pitfalls of life came calling time and again. The author is an expert on mangrove ecosystems. If all this sounds a tad Airy-Fairy-New-Agey to you, consider that Ms. Honkala – that is, Dr. Honkala – is a Ph.D. scientist who earned her doctorate in marine biology. 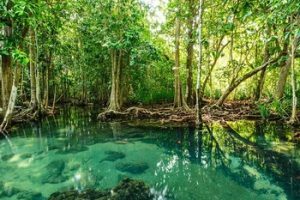 She has worked for NASA, is a world expert on mangrove ecosystems and spent three harrowing years doing research while dodging bullets in the war zone of Tumaco, Colombia, during that country’s grinding war against the FARC rebellion. When it comes to hard sciences like biology, math, chemistry and oceanography, this woman takes a backseat to no rational-material scientist. Her husband is a former United States Navy Special Forces dude. Dr. Honkala’s résumé gives her a certain grounded aura of authenticity – in any case, this is almost besides the point. That’s because I think the way she tells her story in these pages comes across with a hard-to-miss sense of credibility, honesty and no-nonsense truth. 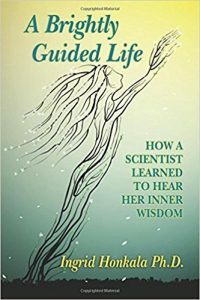 If this woman says she has maintained a life-long relationship with intelligent guides manifesting as points of light – I think we can believe her – and give pause to contemplate the inspiring message she feels compelled to share. So, I give A BRIGHTLY GUIDED LIFE my best recommendation. It’s a heartfelt rendering of one’s person’s life story that is unflinching and honest – dealing out the good with the bad – and ending with a message of hope for all. This entry was posted in Uncategorized and tagged Colombian authors, Ingrid Honkala, love, Marine Biology, meditation, NDE, Near Death Experience, New Age books, oceanography, self help, spirit guides, TM, Zen on April 11, 2018 by admin. This small book brought a tear to my eye, and also gave me goose bumps more than once. It’s an honest, sincere accounting of a man’s experience of not just dealing with the death of his parents, but his real-life experience of establishing afterdeath communication with them.. Even better, it offers tantalizing evidence that when the physical body dies, the person does not. Call it what you want – the soul, spirit, energy body, higher self, mind – there is a huge body of scientific (yes, scientific) evidence that physical death is not the end. 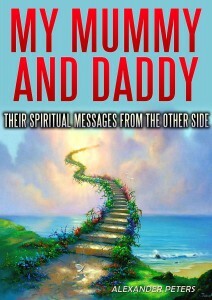 Not only is there life after death, but we can communicate with the loved ones we have lost. They’re still there for us, they can communicate with us, and we can talk back to them. You just have to be willing to open your mind and reshape your belief system to accept that it is possible. The incidents of afterdeath communication author Alexander Peters demonstrates in these pages proves to me that his story is authentic. 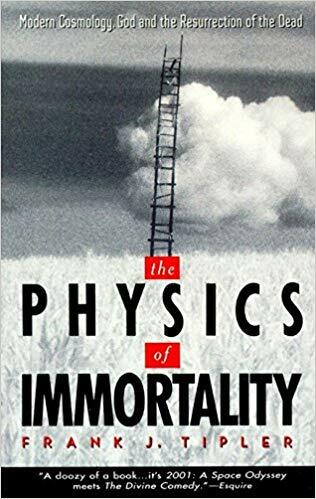 I say this based on dozens of other books I have read by some of the world’s most elite doctors and scientists who have written about the specific nature of afterdeath communications. These include: Dr. Gary Schwartz, Dr. Michael Newton, Dr. Pim van Lommel, Dr. Eben Alexander, Dr, Raymond Moody, Dr. Elisabeth Kübler-Ross Dr. Brian Weiss, Julia Assante Ph.D., Dr. Larry Dossey and that’s just to name a few. What all of these luminaries agree upon is that afterdeath messages from our loved ones often take the form of not just direct thoughts and actual words that are heard – but seemingly coincidental symbolisms which cannot be mistaken for anything else but a message from the departed. 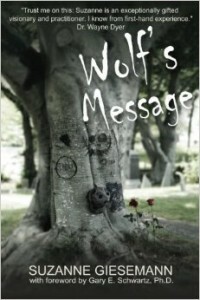 As this book demonstrates, these symbolic communications can be things like a special song with lyrics containing just the message you need to hear – and that song unexpectedly begins playing on your radio just as you are thinking about your loved one. Peters tells of amazing confluences involving his cell phone and Blackberry, the appearance of a special bird, the surprise appearance of gifts – and much more. He packs a lot into this short book. This is obviously not a slick book written by a professional writer, but rather is an honest, readable account penned by an ordinary middle-class guy from a small town in England. It’s a significant contribution to the ever-growing body of literature by scientists and ordinary folks alike who have come to realize — beyond a reasonable doubt — that life goes on after death. The fact is, our loved ones never leave our sides. Even after death, they’re still right there for us, and close by. 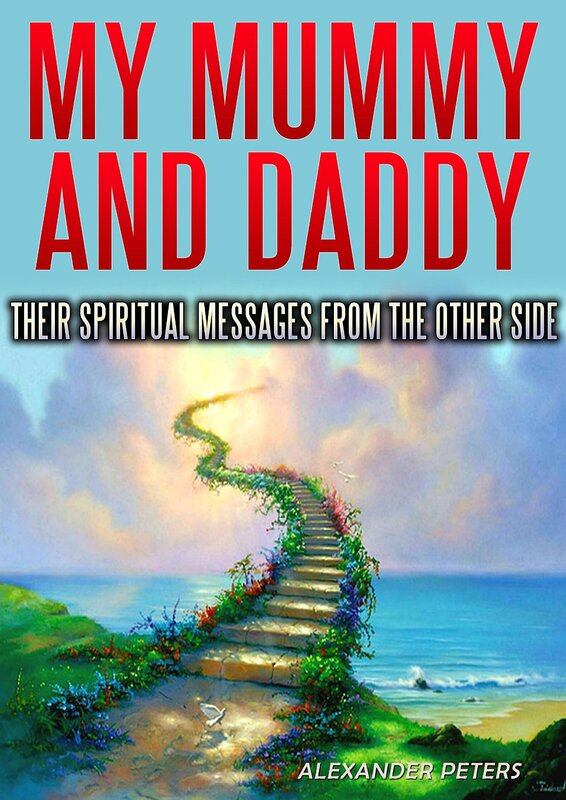 This entry was posted in Uncategorized and tagged Afterlife communication, Alexander Peters, book reviews, channeling, children, heaven, Ken Korczak, love, Mummy and Daddy, New Age books, parents, signs, spirits on February 26, 2015 by admin. This is the second FRANK DeMARCO book I’ve read. 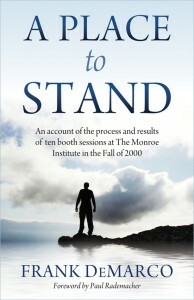 The first was “A Place To Stand,” and I think anyone who reads both of the above will be sufficiently impressed that here is a guy who not merely another frivolous New Age writer raving from the fringe, or some person seeking to capitalize on the name of Hemingway merely to sell a book. This is an intelligent book of substance that should intrigue long-time Hemingway fans, and give us pause to consider the implications of what it might really be like to have a one-on-one chat with an American literary giant. There is ample historic president for these kinds of books, in particular, Jane Robert’s (author of Seth Speaks), “channeling” of the American philosopher William James. That book came out in 1977; James died in 1910. Another famous example: Emily Grant Hutchings and a medium using an Ouija board took “dictation” from the spirit of Mark Twain to produce an entirely new novel, “Jap Herron.” It was published in 1916, six years after Twain’s death. In 1869, a medium “downloaded” a fresh novel written by the deceased Emily Brontë; It’s presented in a book called “Strange Visitors” edited by an esteemed legal scholar, Henry J. Horn. So DeMarco is backed by solid tradition, and the precedent of others who have written amazingly high quality books in this way. Beginning in 2004, DeMarco, using the time-honored, method of automatic writing, made psychic contact Hemingway and engaged in a vigorous post-death conversation with Hemingway. The dialogue resulted in this book. 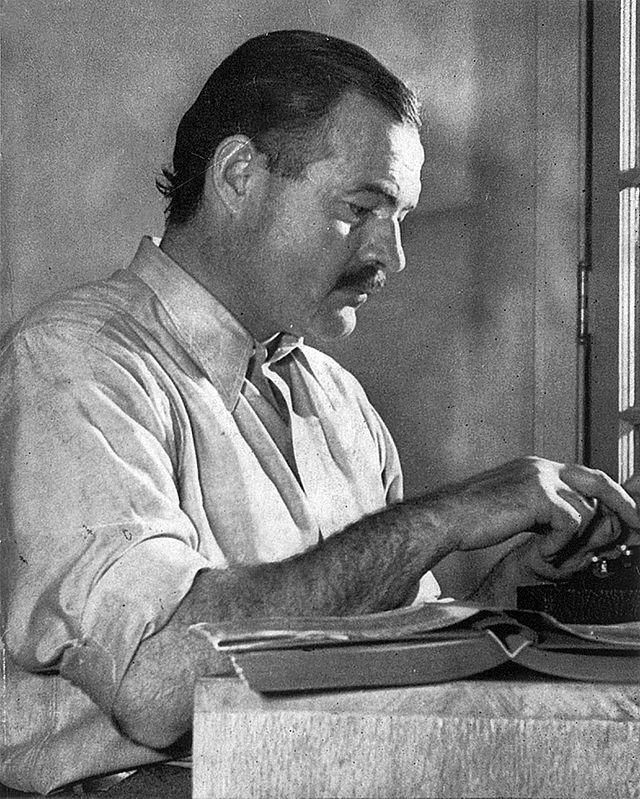 In it, Hemingway clears the deck on dozens of misconceptions he says numerous biographers and academics have besmirched upon his life, work and legacy over the years. * See and feel and think and react as the subject would have done. * Contain within yourself all the subject’s background, including people, places, books he’s read, the news of the day (day by day), the daydream he had, the talents and aversions and every aspect of his personality. * Know everything that had ever happened to him and some that happened only around him, and from multiple points of view. * Know every strand that operated within him, and in what proportion and in what circumstances, including the tremendous amount he didn’t realize himself. That all makes sense, when you think about it. Certainly, the dead Hemingway has a knack for bringing an unclouded, common-sense kind of wisdom to vexing questions and thorny issues. 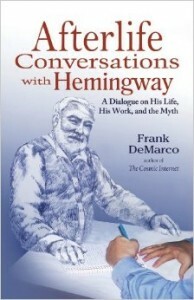 Another example: DeMarco asks Hemingway to explain something controversial the macho-man writer once said, that he would “rather beat someone up than read a good book.” (This in light of Hemingway’s well-known love of boxing and barroom brawling). Still eloquent in death, Hemingway scores again! DeMarco’s book is loaded with gems like these. Hemingway’s quips zero in like sharpened darts, hitting dead-on rhetorical bullseyes time and again. If this is not the actual spirit of Hemingway speaking through DeMarco, then DeMarco himself is one clever wordsmith. In other words, most people assume that when you contact the spirit of a dead person, you are speaking to the exact person/ego-construct/personality of that same person when he or she was alive. But there is not a Person A = Person A situation vis-a-vis the live version of a person and the afterlife version of that same person. 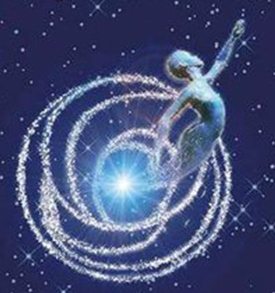 After we pass over to the other side, we apparently expand our consciousnesses to embody the “whole self,” or perhaps “soul self.” We become aligned with the so-called Oversoul. What I really like about Afterdeath Conversations With Hemingway is that it reads not like the typical spooky and/or smarmy medium-channeled stuff, but as an insightful, intelligent and piercing series of observations by a savvy writer, who just happens to be positioned in the non-physical realm. DeMarco’s book makes the extraordinary situation of speaking with the dead seem as commonplace as chatting with your Uncle Ned via Skype. 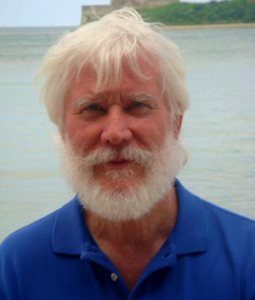 With dogged attention to detail, DeMarco combs through the issues that were the passions of Hemingway’s vigorous life — World War I, the Spanish Civil War, the American psyche, the artistic culture of Europe, big game hunting, deep sea fishing, writing and literature. Hemingway discusses what it meant to be an American, an emerging modern man in a nation straining to become the next superpower. After his death, Hemingway tells DeMarco that he now manifests himself in the spirit world as a 30-something-year-old. The bottom line: This is a marvelous read, well worthy of five stars, and gets my top recommendation. This entry was posted in Uncategorized and tagged Afterlife, automatic writing, book reviews, channeling, consciousness, death, Ernest Hemingway, Frank DeMarco, ghosts, heaven, Ken Korczak, Monroe Institute, New Age books, spirit writings on November 4, 2014 by admin. While I was reading his book I was thinking of documentary I was watching about how animals might evolve into new forms in the future. There was footage of an octopus near the shore of the ocean. It was struggling to make its way along some rocks among the shallow water — the octopus was half in and half out of the water, grappling to navigate an environment that was somewhat familiar, but also vastly different. FRANK DEMARCO is that kind of explorer. He is daring to send his mind into those exotic areas that straddle our normal mode of mentally framing reality with more exotic ways of determining what’s going on. He’s attempting to expand the way we make sense of reality — and maybe even to find a different way to be a human being. This book documents 10 sessions DeMarco conducted at the MONROE INSTITUTE of Faber, Virginia. 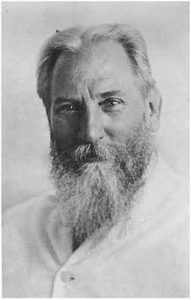 The facility is named after its founder, Robert Monroe, who wrote three best-selling books about out-of-body travel. It was Monroe who really blew the lid off the OBE, a centuries old phenomenon that had long been relegated to mysticism and arcane eastern religious sects. Monroe brought if forward in a way that more Western, scientific minds could deal with it using a modern scientific approach. Equally as important to this book is the man who facilitated the sessions with DeMarco, none other than FRED “SKIP” ATWATER. Atwater is a former U.S. Army intelligence officer who was the founder of Army’s top secret remote viewing unit. He was among an elite corp of men who were the Founding Fathers of so-called “psychic spying.” After retiring from the military, Atwater became the science director and later president of the Monroe Institute. So in these sessions, DeMarco is resting in a kind of isolation chamber. He’s reclined in a waterbed, and he wears headphones through which he is fed a variety of sound frequencies containing something called binaural beats. I won’t go into details about what these are, except to say they have been shown to induce altered states of consciousness. As DeMarco is sent into an altered state of consciousness, but he also holds onto a portion of his waking mind so that he can chat with and report back to Atwater via a microphone. Atwater sits in another room where he controls the tones and frequencies DeMarco hears. DeMarco is also wired with fingertip sensors which monitor things like his galvanic skin responses, body temperature and more. DeMarco then sends his perceptions into other realms of consciousness and reports his perceptions. 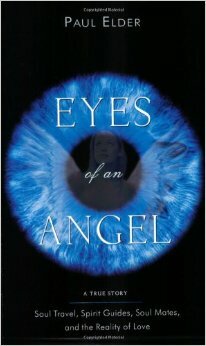 He finds two contacts from two other eras of time: An ancient Egyptian and a Medieval monk. He feels he is deeply involved in some kind of mutual project of consciousness manipulation with these two — this is not a simplistic reincarnational kind of situation in which DeMarco “trades notes” about past lives, or stuff life that. DeMarco also interacts with a more advanced set of entities he simply calls “The Guides” or “Guidance,” and sometimes just “the guys.” To facilitate a greater connection with him, these higher entities encase DeMarco (or cause him to become) what he perceives as a crystalline structure. In this state he is able to receive a variety of novel concepts, expand his psychology, gain insights, and so on. DeMarco then “debriefs” in an informal discussion with Atwater. Both the sessions and the debrief sessions were tape recorded, and DeMarco fills the pages of this book by basically giving us the raw transcripts of all that was said. For me, this was a five-star read because it provides a fascinating “fly-on-the-wall” view of how people on the cutting edge of consciousness exploration are endeavoring to probe uncharted territories of the mind. They go places for which no road maps exist. The explorers are pushing the edges of perception, have no idea what to expect, and don’t even have a good way to recognize “things” when they encounter them. When people become immersed in Focus 27, for example, they will find themselves in a specific afterlife kind of location — a place where dead people gather after leaving their bodies. Here they create a kind of resting place, perhaps a peaceful cabin in a wooded area, where they can simply rest and get used to the idea that they no longer have a physical body. They can come to grips with the fact that they are physically dead, and now can contemplate their next stage in consciousness development. Focus 27 is a place of pure mind — that is, a cabin in the woods is not made up of physical lumber and nails — but a construct of the mind. Think of the way you might have a dream about a visit to a cabin in the mountains. While you are in the dream, the cabin would seem as real and solid as anything else. When you wake up, you would tell yourself: “Well, that wasn’t a real cabin. It was all being created by my dream mind!” The structures of Focus 27 apparently are a kind of group-mind creations of structures — buildings, parks, gathering places — which are collective construct by those who have passed on. I should say that for some readers this book might be something less than a five-star read — you won’t get the exciting New Age, out-of-body wonder type of fireworks provided by such folks as Robert Monroe, Richard Buhlman or others who have written popular books about OBE adventures involving lively interactions with strange beings, exotic otherworldly locales, although there is a certain element of that here. A PLACE TO STAND is more sober and less sensational. It doggedly plods along. DeMarco also displays healthy levels of skepticism and self doubt about his own perceptions, which adds to our feeling that he is an authentic guy who is endeavoring to bring back reliable information from strange places, rather than hyping it all up to make for an exiting New Age book. This entry was posted in Uncategorized and tagged A Place To Stand, book review, exploration, Frank DeMarco, mind experiments, Monroe Institute, New Age books, OBE, remote viewing, Skip Atwater, UFO on September 21, 2014 by admin.